At work, I got a new iPhone 6s the day before yesterday. This morning the battery was down to about 18% because I used it to track a 13km run last night, listened to some podcasts and played ingress on the way back from walking the kids to school. 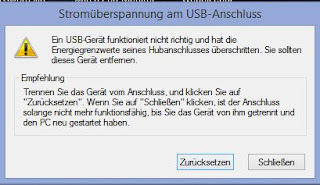 The message "Stromüberspannung am USB-Anschluß" literally means "Currentovervoltage on USB port". Ouch, this sounds so wrong! I suppose it means to say that the over current protection has kicked in and the port needs to be reset. This worked and the iPhone started charging/synching. 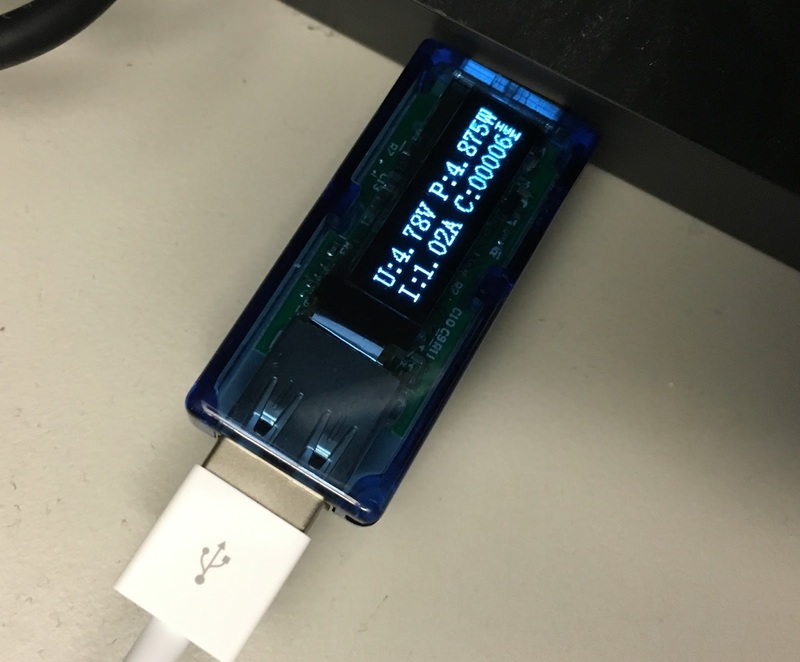 The next day I brought my USB meter. The phone was around 30% when I took this picture. The PC didn't complain. So I suppose yesterday's current was even higher than that. All of this is within specs. But it seems that a well discharged phone draws too much current. My iPad Air charges at 0.46A from the same USB port, while it takes 2.2A from the original charger. That's what I'd expect. 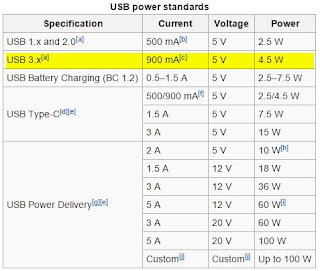 The 6s charges at 1A from that charger, although rumor has it that it can charge at 2A, I have yet to see proof of that. Again the phone was down at 7% and the same message came up. 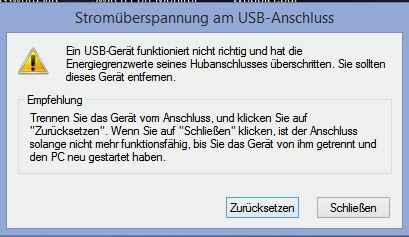 This time I had my USB meter with me. 1.3A is clearly too much.What still puzzles me: When I connect it to my 2A iPad charger, it only takes 1A.